Each character receives 50 inventory slots in the beginning. After you leave the starting zone your inventory will be full and I am 100% sure that you will be looking for a way to increase it. Though each player has access to personal store and guild bank, inventory space is still not enough. How to get more inventory space in ESO? The first update will add 10 extra slots increasing inventory space from original 50 up to 60 at the cost of 400 gold. It is a really good boost and I recommend you to buy this improvement as fast as you can. The next improvement is from 60 to 70 and will cost 2000 gold. I think you will have enough money for this approximately between the 10th and the 14th level. There is one more way to get inventory space – to purchase a horse mount and feed it with special food. Different types of food will allow you to either increase stamina, speed or will allow it to carry items using horse. Some players will like it very much. Some sources tell that the maximum inventory space is 110 slots but I am not sure about it. If you watch official video demonstration of Blacksmithing you will notice that the character has 200 slots. I think this is a confirmation of the fact that a player may reach at least 200 slots. I don’t know if it is possible to make the inventory larger than 200 but we will see it soon. I met the first Bag Merchant in Bal Foyen (Ebonheart Pact). But he can be found there before the Covenant forces attacked the fortress where he is standing. 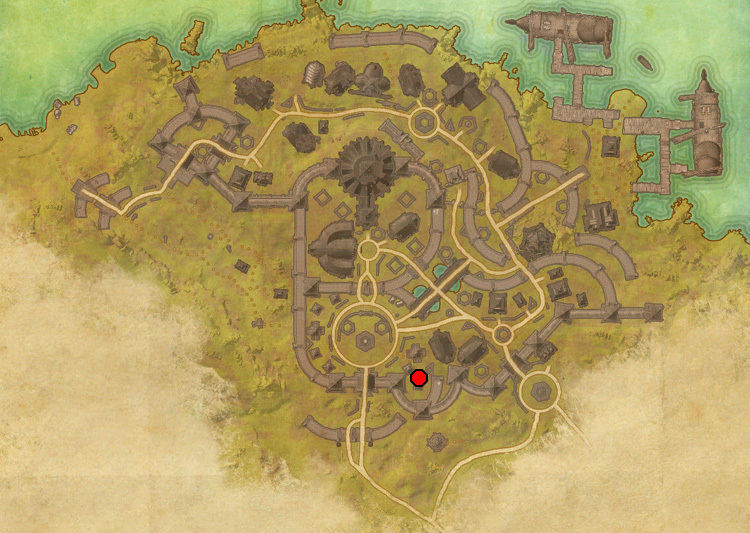 The next Merchant I saw was in Stonefalls – Davon’s Watch city. If you found a Bag Merchant please leave the comments here to help other players to enlarge inventory. This is a perfect article for loot hoarders like myself. By level five I had so many crafting supplies and other goods for deconstruction that I was practically overflowing — and I didn't even go out actively looking for loot during that first portion of my adventure. Thanks a lot! I also like gathering and I experience problems with inventory every time I leave the city :) There are a lot of things a player can gather in ESO and that’s great. As the game has launched this might need an update that you start with 60 inventory slots and 60 bank slots. Inventory expansion is 400 gold first 10 and then 2000 gold the next 10. Inventory slots are cheaper to upgrade than bank as they are per character. The common pool of slots are obviously more valuable to allow hoarding between all characters. As storage is very expensive i puzzled out that if you made alt character and assigned them to various skills you can in effect get more bunches of free 60 slots. This is obvious after a little while to anyone who is playing. So you make a character in any alliance as the bank is cross alliance and then pile all cooking provisions on «cooker»- (insert nice name optional)- pile all herbs on alchemist- all runes on enchanter. This would have meant you would have to spend 30 minutes to make a char and get through cold harbour with each- thankfully Zenimax made the initial tutorial skippable so you appear imediately after creating a character near a bank with a few skill points in hand. 20 minutes later you could have 5 alts all named and set up. Enjoy skilling. The first bag merchant I found is in Grahtwood in the city of Haven. 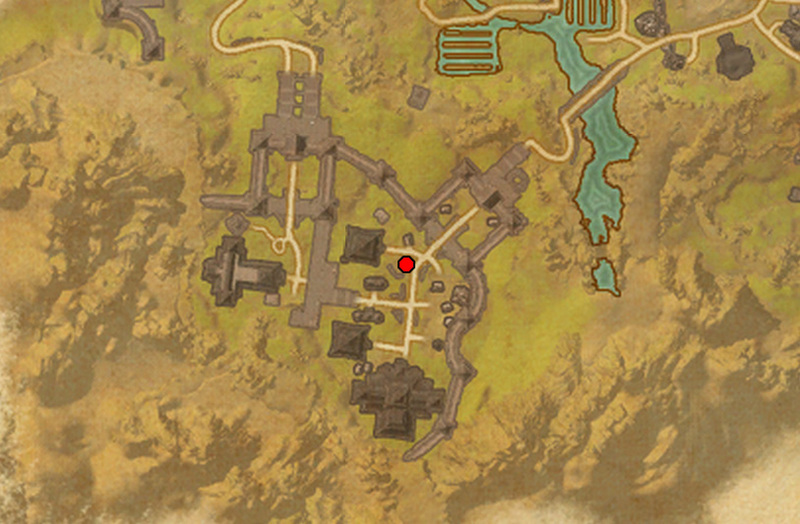 More specifically, between the Stables and Foundry. The guy's name is Lenore.